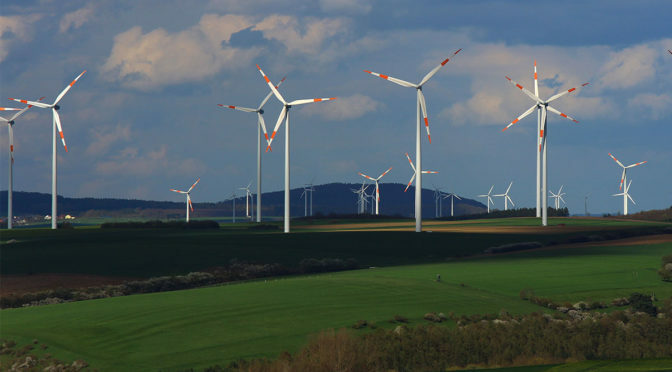 On 11 June, WindEurope CEO called on the German Government to side with other progressive European governments – Spain, Sweden, Portugal and Lithuania – on renewables and secure a positive outcome on the 2030 renewable energy target. Dickson was speaking at an event organised in Berlin by the European Energy Exchange (EEX). His words come at a crucial time for renewables in Europe – on 13 June the European Parliament and EU Member States are scheduled to meet for the last time to agree on Europe’s renewables target for 2030 and the rest of the new Renewables Directive. Germany, which has been a key driver for renewables throughout Europe, is pivotal in these negotiations. However, one of the final outstanding issues on the Renewables Directive relates to Power Purchase Agreements (PPAs) and Guarantees of Origin. Currently, there are significant regulatory barriers in Germany which are preventing the country from tapping into the enormous potential of Corporate Renewable PPAs. As was highlighted at the launch of the RE-Source Platform last week, these PPAs have the potential to radically transform the way major corporates throughout Europe do business, helping to further decarbonise Europe’s energy mix through long-term power sourcing agreements between energy intensive buyers and renewable energy suppliers. For these PPAs to gain a foothold in Germany, Dickson said, the country requires a fit-for-purpose system for Guarantees of Origin which allows for the tracking of green power. In particular, this means issuing Guarantees of Origin for all green electricity. Failure to do so, he warned, will lead to Germany missing out on major investments in infrastructure (data centres, etc.). This is because IT companies, for example, increasingly deem the ability to sign a corporate renewable PPA as being instrumental to their investment decisions. Find out more about how the corporate sourcing of renewables is set to unleash a clean energy revolution across Europe.